Rangent is a water world with 90% or more of its surface covered in an ocean of water. The system has a population between 10,000 and 10 million, lacking the industrial base to be completely self-supporting. 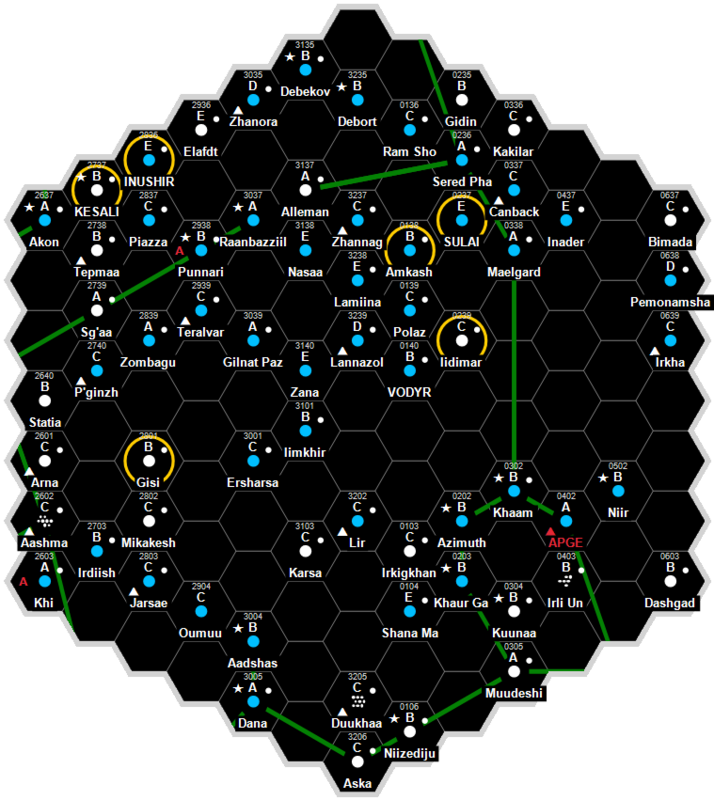 It is a Human dominated Non-Aligned world in the Vilis Subsector of Spinward Marches Sector. Rangent is a water world with 90% or more of its surface covered in an ocean of water. The system has a population between 10,000 and 10 million, lacking the industrial base to be completely self-supporting. It is a member of Regency of Deneb in the Vilis Subsector of Spinward Marches Sector. Rangent’s people are primarily belters. Diameter: 6,360 miles (10,200 km). Atmosphere: Standard oxygen-nitrogen atmosphere, with very high carbon-dioxide levels. Population: 7.341 million (mostly in the orbital habitats or small belting communities throughout the system). Great ships harvest the warm seas for plankton to be processed at the floating port. Martin Dougherty, Neil Frier. Behind the Claw (Steve Jackson Games, 1998), 66. This page was last modified on 30 May 2016, at 15:44.